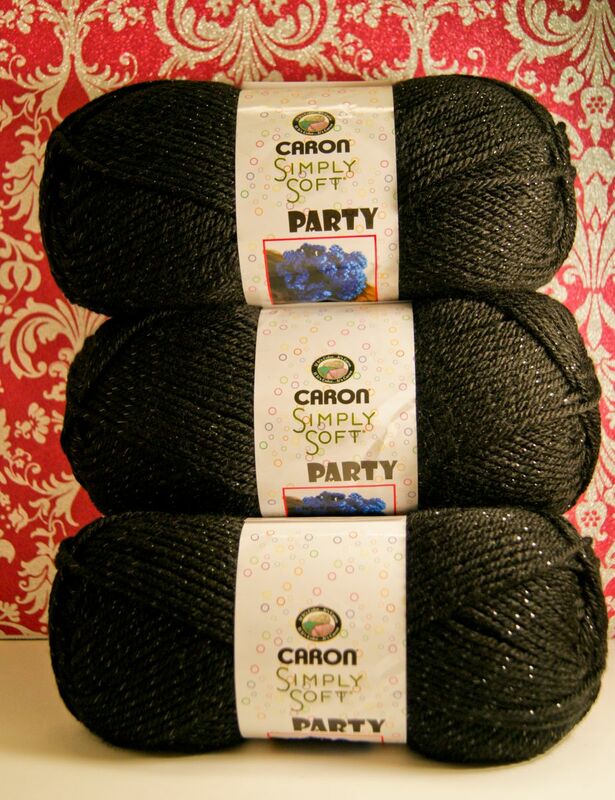 Caron Simply Soft Party Yarn in Black Sparkle is the perfect yarn to work up glamorous gifts for your friends and family. The subtle sheen and sparkle add that something special to your projects, while having a fabulous drape and soft hand. Simply Soft Party is 99 percent acrylic and one percent polyester, meaning it’s completely machine washable and dryable while retaining its shape and feel. 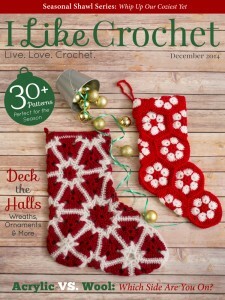 Versatile, easy to work with and sophisticated, Caron Party Yarn is the perfect yarn for any of your crochet projects. 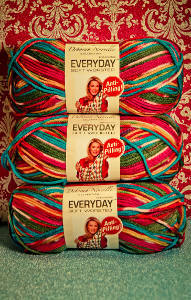 If you are looking for a yarn that is pill-resistant, soft and completely machine-washable, try Deborah Norville Everyday Soft Worsted Solids and Multi Yarn. 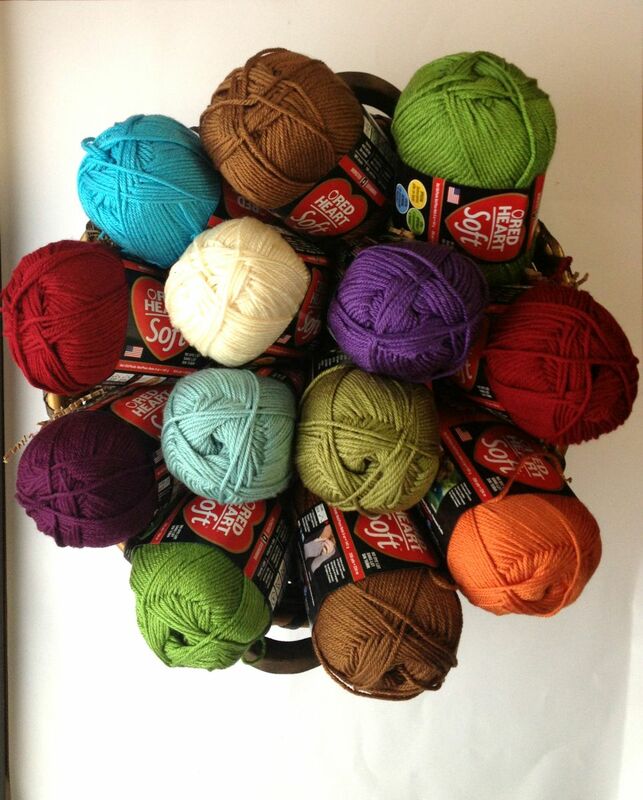 This cost effective yarn is 100 percent acrylic, but you would never know it by how plush it is. The solids coordinate beautifully with the multi-color prints to allow for a wide range of combinations. If you’re not brave enough to try changing colors for stripes or Fair Isle colorwork, the multi-colored prints do all the hard work for you. 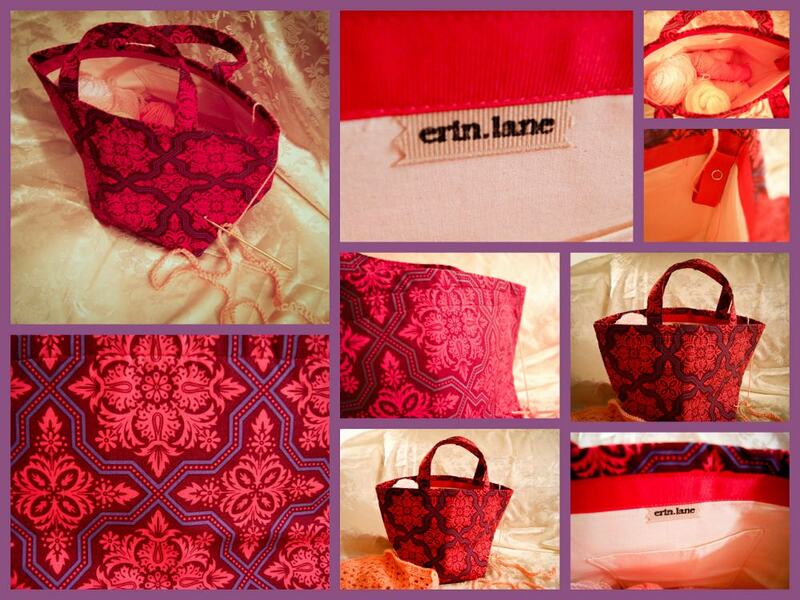 These sturdy Erin.Lane bags are deceivingly large to hold more yarn than you’d assume. Constructed with an 8×8” square bottom, they are generous enough in size to hold your larger projects and sturdy enough to stand up on their own while you work. A particularly interesting feature of the Erin.Lane Yarn Bucket Bag is the internal yarn guide to keep your projects tangle-free. This feature also allows the yarn to continue flowing smoothly while you work. It’s not often that you can find an affordable yarn that is soft, cuddly and available in a wide variety of amazing colors, and Red Heart Soft Yarn fits the bill perfectly. Available in an amazing array of both solid and multi-color varieties, this 100 percent acrylic yarn is a fan-favorite and for good reason. The drape and luxurious body will quickly make anything your crochet it up in a favorite of yours too. Being acrylic, you’ll be able to machine wash and dry any project and you won’t lose the shape at all.